The smartphone user likes apps with simple functions rather than complex functions. If you provide simple apps, companies will be more loved by customers and will stay in your customers’ memories. 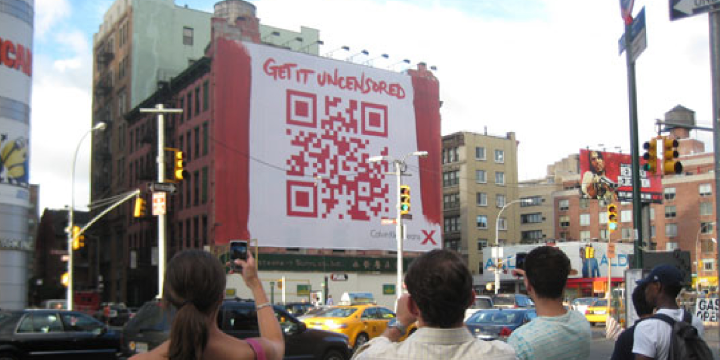 What if companies offer discount coupons to their customers for marketing purposes, and they have QR codes in the outdoor billboards that are too far away? It is not easy to recognize the QR code even when trying to shoot with the camera of the smartphone, even when it is not recognized because it is too far away, or when it moves by car. However, if a company has drawn a TiltCode (a tilted smartphone icon) next to an advertisement that offers this discount coupon, customers can simply tilt the smartphone toward the TiltCode of the ad, You can receive. It started with the idea that benefits should be more easily available to customers. That is the idea of Representative Seo Yong-Chang of MovingKey. 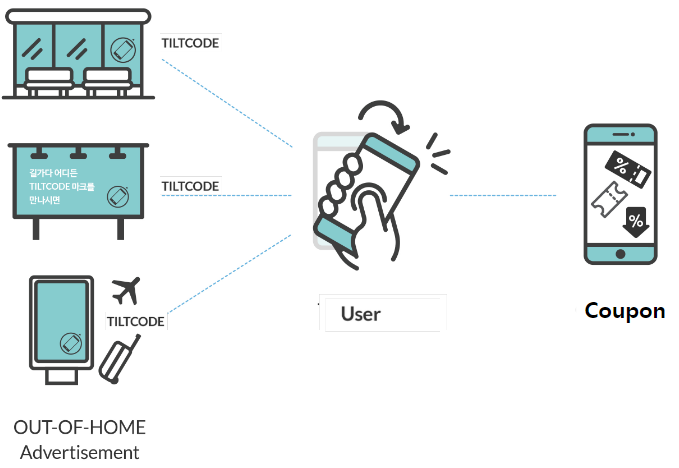 TiltCode is a technology that can be used in various ways. For example, it can be applied to pamphlets provided by companies participating in the fair. Is the pamphlet for many visitors effective for marketing? Will the audience who handed the brochure read it thoroughly? Would not it be better for marketing to be able to easily pass on display videos or VR images that were displayed at the booths of the fair to each visitor? Please draw a TiltCode next to the booth. Visitors can easily download all the information, videos, VR images, etc. of the company’s brochures to their smartphones simply by tilting the smartphone toward the TiltCode. Also, you can use it when you want to group chats or share photos. There are dozens of students in the school who travel on tour buses and have to enter email addresses or contacts every time they want to chat with a group in case they are scattered. However, if you use MovingKey’s TiltChat, just tilt your smartphone and it will be a group chat. If you turn on the GPS and click the map icon, you can get off the sightseeing bus and see the students’ locations in real time. Also, the chat room automatically disappears when the specified date arrives. If you share your photos with each other, you can simply tilt your smartphone with TiltPhoto. MovingKey’s TiltCode technology has been applied to various fields so that customers feel simple.